Located in Parque das Nacoes, this boutique hotel is within a 5-minute walk of Lisbon Casino and Vasco da Gama Shopping Centre. Lisbon Oceanarium and Vasco da Gama Bridge are also within 15 minutes. Lisbon Oriente Station is only a 4-minute walk and Oriente Metro Station is 6 minutes. Located in Parque das Nacoes, this apartment building is within a 10-minute walk of Parque das Nacoes Marina and Lisbon Oceanarium. Lisbon Casino and Vasco da Gama Shopping Centre are also within 1 mi (2 km). Cabo Ruivo Station is 19 minutes by foot and Oriente Metro Station is 20 minutes. 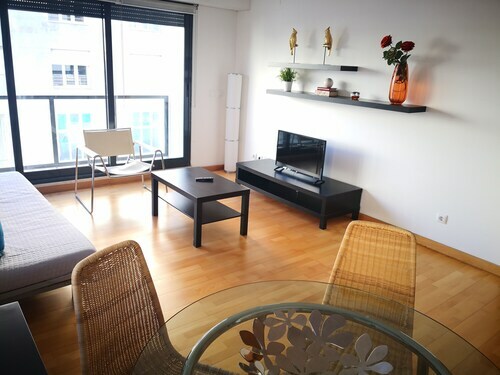 Located in Parque das Nacoes, this romantic apartment building is within a 10-minute walk of Lisbon Oceanarium, Vasco da Gama Bridge, and Lisbon Casino. Vasco da Gama Shopping Centre is 0.8 mi (1.3 km) away. Cabo Ruivo Station is 17 minutes by foot and Oriente Metro Station is 18 minutes. 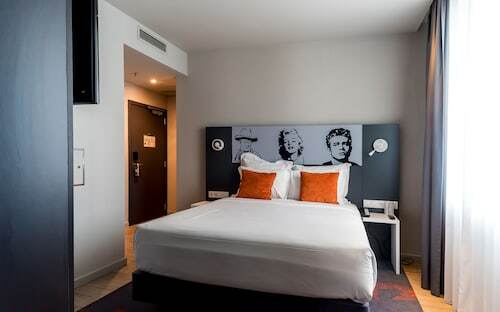 This family-friendly Lisbon hotel is located near the airport, within a 10-minute walk of Vasco da Gama Shopping Centre and Lisbon Casino. Lisbon Oceanarium and Vasco da Gama Bridge are also within 1 mi (2 km). Lisbon Oriente Station is only a 2-minute walk and Oriente Metro Station is 3 minutes. Located in Parque das Nacoes, this apartment building is 0.4 mi (0.6 km) from Lisbon Oceanarium and within 6 mi (10 km) of Castle of Sao Jorge and Santa Justa Elevator. Gulbenkian Museum and Jeronimos Monastery are also within 12 mi (20 km). Cabo Ruivo Station is 18 minutes by foot and Oriente Metro Station is 19 minutes. 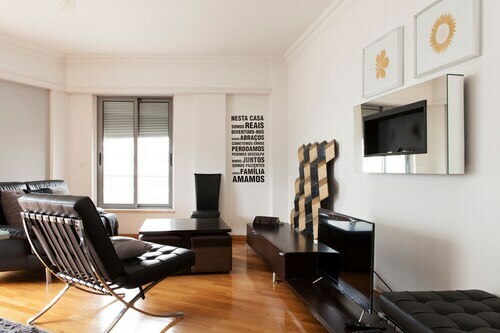 Located in Parque das Nacoes, this apartment building is within a 10-minute walk of Lisbon Casino and Lisbon Oceanarium. Vasco da Gama Bridge and Vasco da Gama Shopping Centre are also within 15 minutes. Cabo Ruivo Station is 14 minutes by foot and Lisbon Oriente Station is 13 minutes. 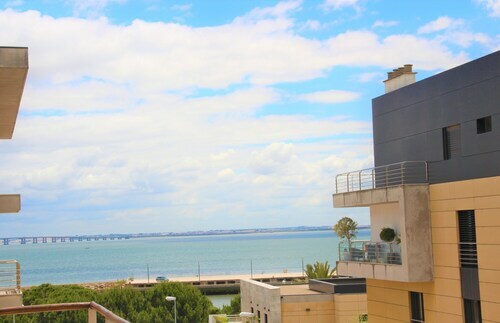 Located in Parque das Nacoes, this apartment building is within a 10-minute walk of Lisbon Oceanarium, Lisbon Casino, and Vasco da Gama Bridge. Vasco da Gama Shopping Centre is 0.7 mi (1.1 km) away. Cabo Ruivo Station is 15 minutes by foot and Lisbon Oriente Station is 14 minutes.